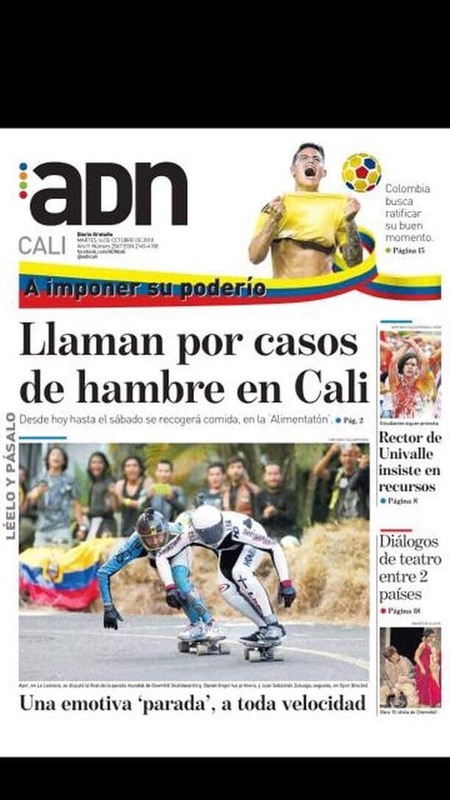 The Day of the race in Colombia is a holiday celebrating diversity of a mixed race. 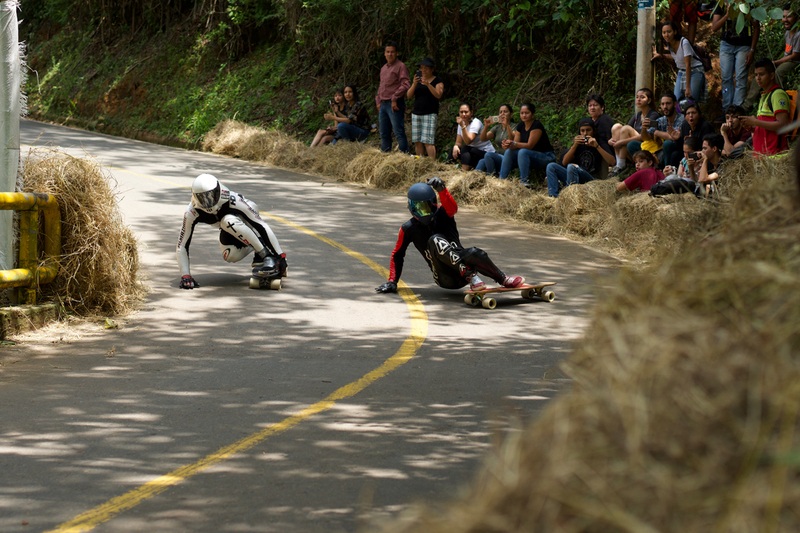 That holiday was celebrated on Monday and also the day of the IDF World Qualifying race in Colombia. 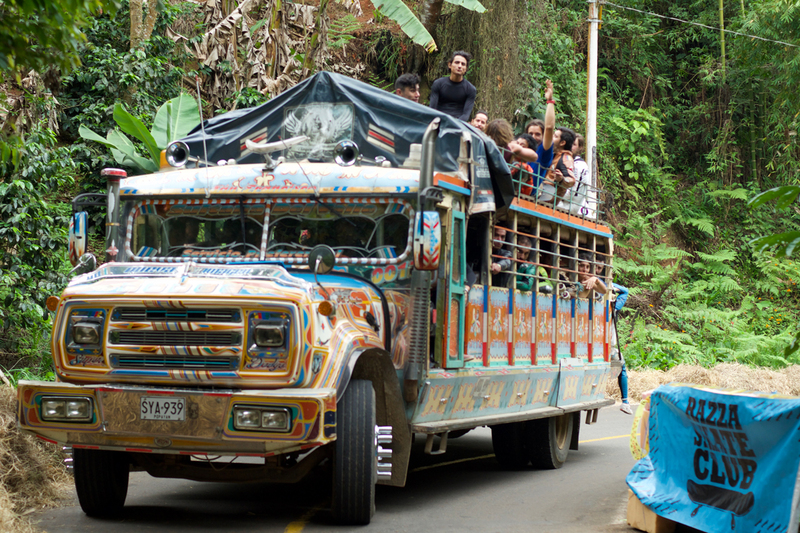 The Chiva (rider shuttle in Colombia) was ready for race day rider up lift. The earlier rounds had no upsets and it was almost a straight shot into the semi finals for the top 8. 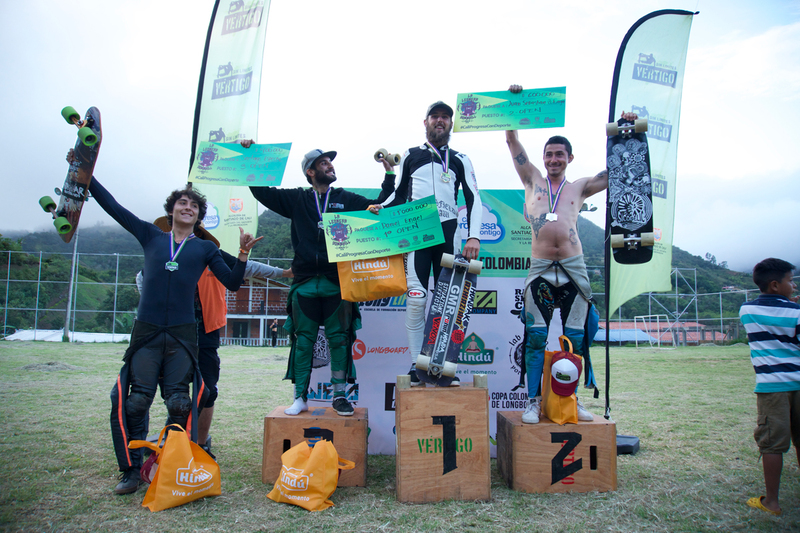 Mariano Gentili (ARG) was the only one to disrupt the top 8. 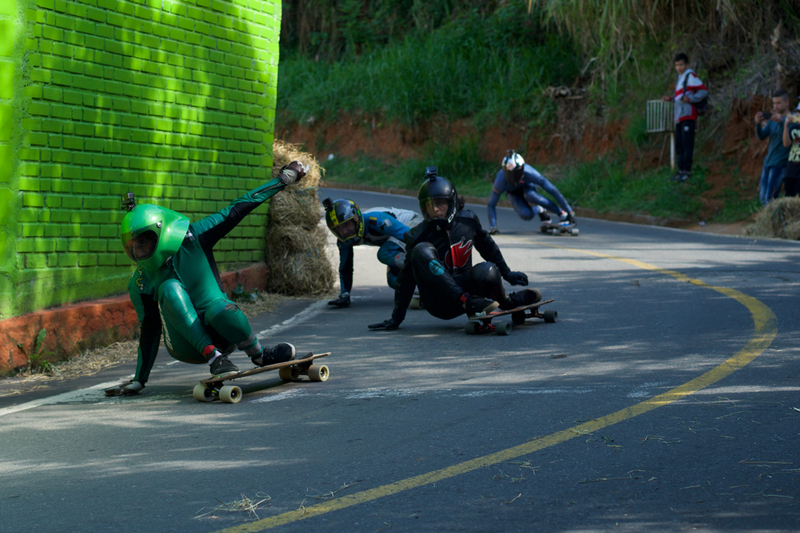 Daniel "Dangle" Engel and Felipe "El elfo" Marin (COL) going into the tight bridge right. El elfo was set to advance but went in too hot and got ejected out of the Quarter finals. The 2 Gringos (Clarke and Engel) started pushing up front and raced all the way dowm until the last right where they both crashed. Gentili (who was 3rd at that moment) also hit the bails. 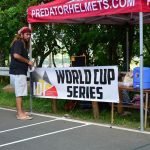 This gave Sastre an open path to advancing to the finals. They bunched up immediately at the first right but somehow Espeche led up front and never looked back. 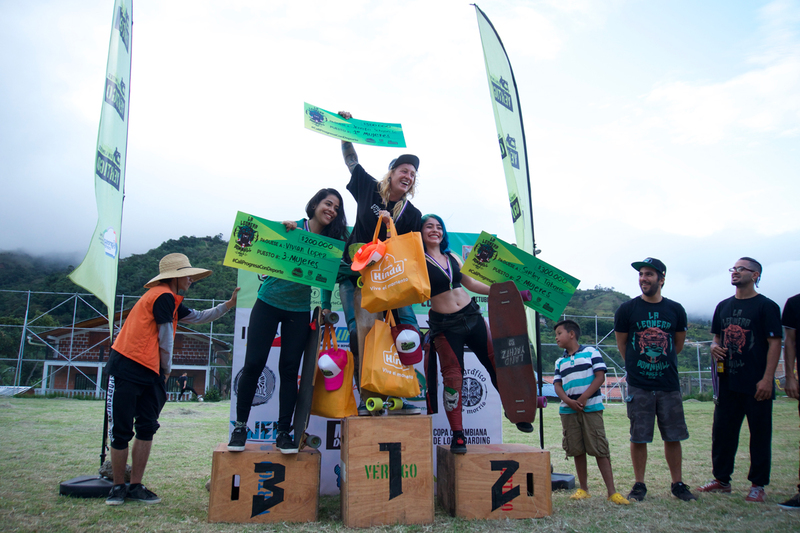 The battle for the last spot in the finals kept changing all the way down with 2 Medellin skaters: Osorno and Zaluaga against number 3 qualifier Bertinati. Zaluaga advanced with Espeche to the finals. 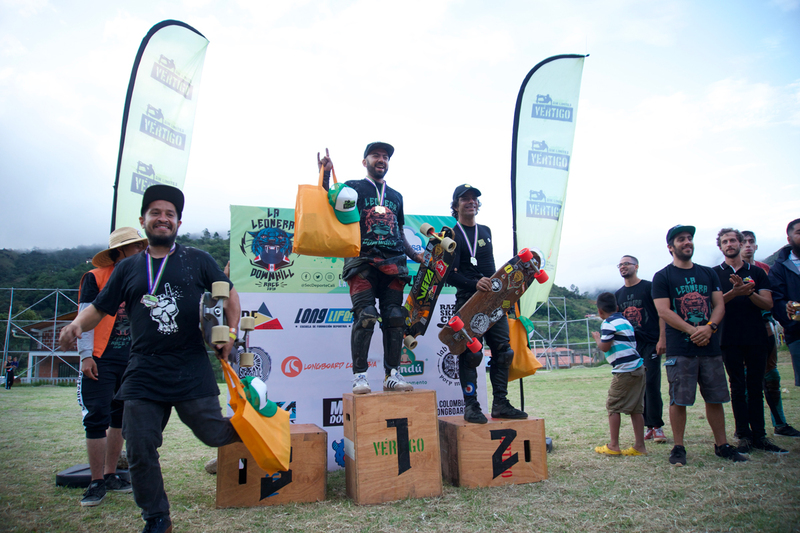 The last IDF race gave us a suprise package and at this race it came from none other than host nation: Colombia. 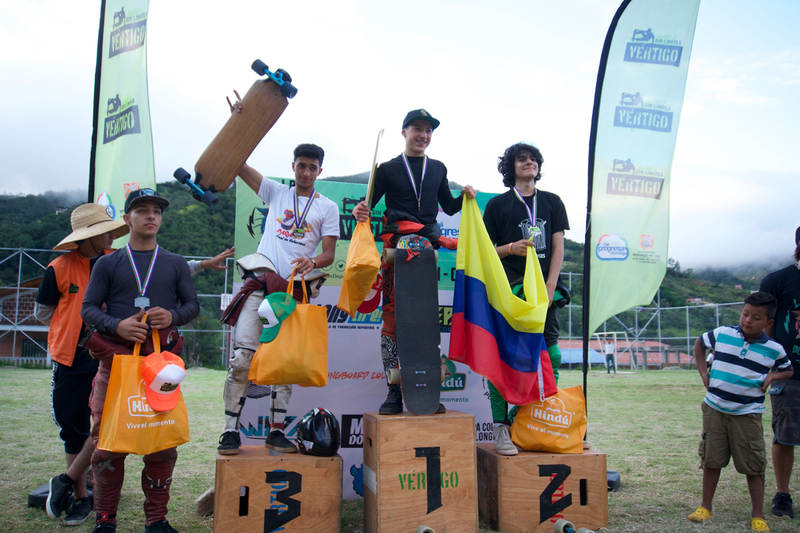 Felpe Marin was top Colombian qualifier but further strengthening the fast skating of his hometown were 2 more skaters from Medellin: Juan Santiago "Panelo" Zuluaga and Esneider "December" Osorno. 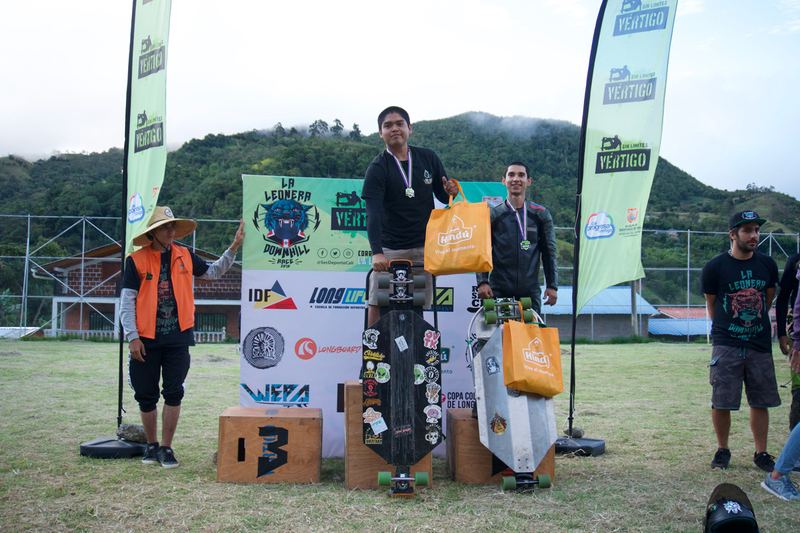 They also have made the podiums of the local edition of 2 of the next few races El Mamrbijal (Ecuador) and Yaku Raymi (Peru).